No one doubts the ability of this famous SUV. Mitsubishi Pajero Sport highly acclaimed its excellent comfort like international quality. Mitsubishi Pajero Sport is also divided into 4 trims namely Mitsubishi Pajero Sport Dakar 4x4 AT, Mitsubishi Pajero Sport Dakar 4x2 AT, Mitsubishi Pajero Sport Exceed 4x2 AT and Mitsubishi Pajero Sport GLX 4x4 MT. Apart from the 4 trim, Mitsubishi also offers 2 types of machines on the dapu pacunya sector. The first machine is a machine with 4N15 2.4L MIVEC Turbocharged and Intercooled (EURO II) embedded in Mitsubishi Pajero Sport Dakar. The second type of engine is the 4D56 2.5L AT Commonrail Turbocharged and Intercooled DOHC (EURO II) which became the heart of the runway Mitsubishi Pajero Sport Exceed and Pajero Sport GLX. 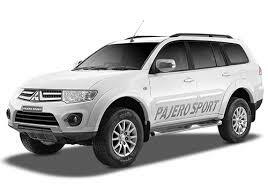 Mitsubishi Pajero Sport in Indonesia has now priced at around Rp 623.000.000. The price may change according to the desired type. Who does not know Toyota Fortuner? Competitors directly from the Mitsubishi Pajero comes with the latest trim, namely type 2.4 VRZ 4x4 AT. In this type of Toyota Fortuner equipped with 2.4L VTN Diesel engine with a capacity of 2,393 cc cylinder that can generate maximum power of 147.5 / 3.400 rpm and maximum torque reached 392 Nm / 2.000 rpm. Despite using the automatic transmission system on the newest type, but Toyota Fortuner did not lose its pull. 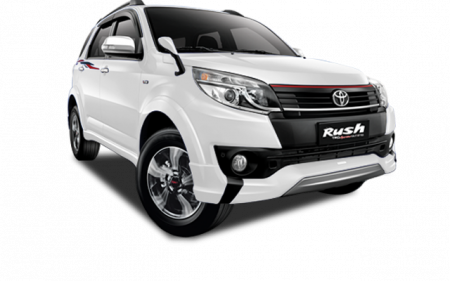 Still struggling with the Toyota manufacturer, attention to the best SUV 2017 cars to switch on Toyota Rush. SUV with dimensions of 4420 mm x 1745 mm x 1740 mm makes this car look more sturdy and handsome. With the specification of that dimension, Toyota Rush able to accommodate 8 passengers. Equipped with a tough type IL4 engine, 16 Valve DOHC, VVT-i is a capacity of 1495 cc (1.5L). Toyota Rush capable of spraying power of 109 hp / 6,000 rpm and maximum torque of 141.2 Nm / 4,400 rpm. With numbers on the paper, Toyota Rush is considered to have a pretty good performance. In addition, Toyota Rush was no doubt about the comfort. Driving comfort will be guaranteed very well by 2 types of suspension namely MacPherson Strut with Coil Spring & Stabilizer and 4 Link Lateral Rod with Coil Spring. Toyota Rush in Indonesia itself is now priced at Rp 235 to Rp 262 million. The price range depends on the type of variant available. Still from other Japanese manufacturers, Daihatsu with Terios champion, can not be underestimated if menyetuh about engine performance. Sector dapu pacunya embedded a machine type 13SZ-VE DOHC VVT-i with water-cooled. With Daihatsu Terios engine specifications capable of releasing maximum power of 107.5 hp / 6,000 rpm with maximum torque of 141.2 Nm / 4.400 rpm. About comfort, this SUV is equipped with a good comfort system by relying on Macpherson Strut suspension with Coil Spring & Stabilizer and 5 Link rigid exle with per snails that will make the rider more comfortable when driving this car. In addition to performance and comfort, the design of this car is also fairly dynamic and sporty so it really characterizes an SUV. The car is priced at Rp 187 to Rp 244 million. 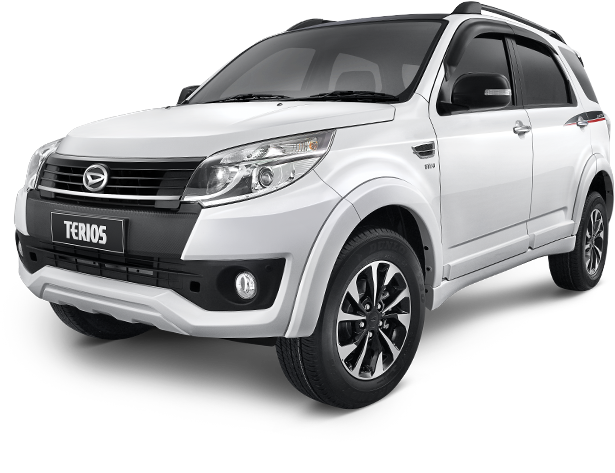 With the engine performance is tough and fuel efficient and has an attractive body design makes this car worthy ogled as the best SUV in Indonesia and worth the wait back in 2017. Entering the big family of Honda, first choice SUV in Indonesia attention can fall on Honda HR-V. This legendary Japanese car manufacturer offers a luxurious car design with exterior and also a modern car interior that makes this SUV car worth await again in the year 2017. In the machine sector, although the HR-V engine is still adopting the SOHC system, but its performance need not be doubted any further. This powerful engine is equipped with an i-VTEC engine with 16 valve SOHC accompanied by PGM-FI technology as its fuel supply system. In addition to powerful, HR-V was included as a fuel-efficient SUV. 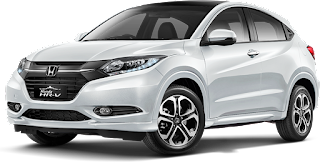 In its presence in Indonesia, Honda HR-V offers two choices of Trasmisi namely Automatic Trasmision (AT) and Manual Trasmision (MT). Then at its driving convenience, it will be assured with Honda HR-V suspension system that uses suspension with MacPherson Strut type and H-Shape Torsion Beam. About the price, Honda HR-V is considered quite affordable given the specifications and features available. Honda HR-V now priced at prices ranging from Rp 250 million to the highest for Rp 363 million. 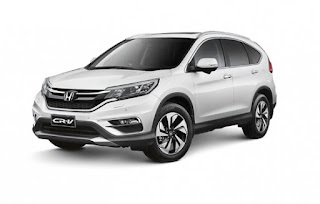 Honda CR-V, as the old brother of HR-V has exterior design and interior dsn luxury. Not much different from the HR-V, the CR-V has a demanding size of 4,596 mm x 1,820 mm x 1,685 mm. From the direct looks, Honda CR-V makes this car look more elegant and also sporty. Owning the Honda CR-V Honda SUV car output is able to captivate the consumers. Consumer engagement is not without reason, this SUV is not just the design is luxurious but the performance of this car engine is also quite tough and reliable. Equipped with a type of i-VTEC engine that uses PGM-Fi technology as a fuel supply system. On paper, SUVs are worth the wait in 2017 is capable of spraying maximum power of 187 hp / 6,500 rpm with maximum torque of 222 Nm / 4,400 rpm. For the comfort system, SUV from Honda is equipped with MacPherson Strut and Double wishbone type of suspension to provide good driving comfort. For now, Honda CR-V is still priced at the highest price of Rp 395 million. This time we turn to the South Korean manufacturer, KIA with Sportage model as a SUV worth waiting for in 2017. This SUV embedded a 1,998 cc engine and is capable of removing the maximum power of 163.7 hp / 6,200 rpm with maximum torque of 137 Nm / 4,600 rpm. KIA Sportage uses a Dual CCTV engine type, 2.0L DOHC which is a gasoline engine. 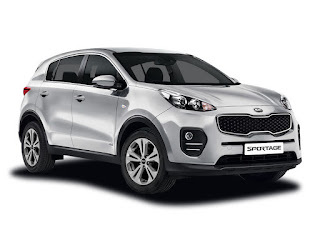 KIA Sportage is equipped with advanced features of KIA so as to provide a more optimal performance. In addition, KIA Sportage has a car design that is considered quite aerodynamic. This is due to the application of technology in some exterior at every corner of this SUV section. on the interior itself, this car is also quite luxurious, this is not separated from the design of the interior of the car is spacious and modern and equipped with features in a sophisticated car. In circulation in the country, KIA Sportage priced at a fairly competitive price, ie Rp 320 million only. Indeed Nissan X-Trail has long been circulating in Indonesia, but its presence as if never drowned by other SUVs that appear in the middle of the consumer. 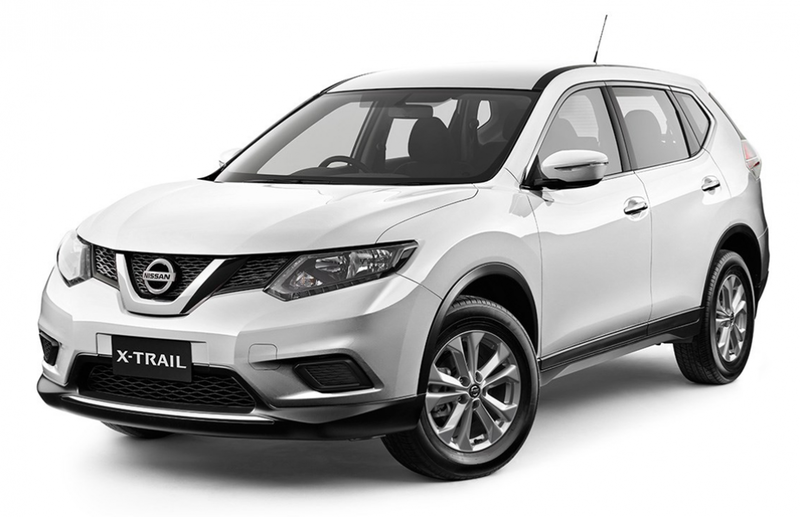 Experienced several times facelift, Nissan X-Trail is now equipped with MR20DD 2.0 Liter DOHC 16 Valve engine with Dual CVTCS. With this engine, the Nissan X-Trail is able to provide a good performance. Car with a capacity of about 8 passengers is equipped with a six-speed manual transmission system. In addition to its comfort system, X-Trail uses MacPherson Strut suspension system with stabilizer bar and Independent multi-Link with Stabilizer bar. To have this car, the price is also peg fairly affordable which is around Rp 390 million.